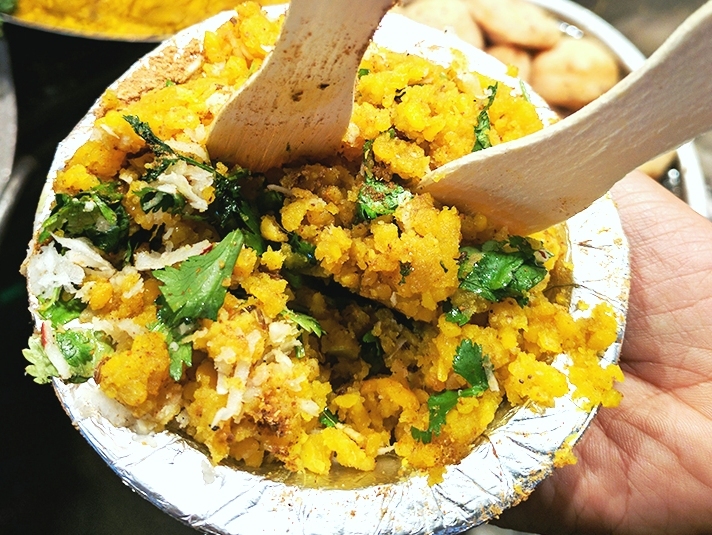 Indore has its old connection with food. Indore’s love affair with food is long and fabulous, this city is much known and discussed in-between foodie circles. It has the taste of Gujrat, Rajasthan, Maharashtra which adds more flavors to it. Chappan Dukaan: First day in the evening I had started surfing from Chappan Dukaan. 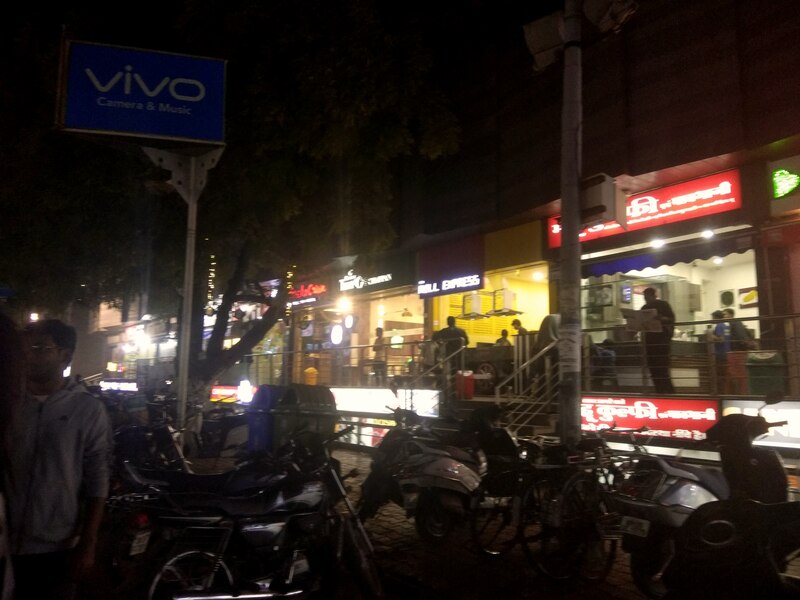 It was one of the famous spots in Indore for street food. The name of this place was Chappan Dukaan because it has 56 shops both sides of the roads. It was a proper street food place where you will get a different taste of India. First, I went for Vijay’s chaat, here I had taken Daal Kachori with khatti-meethi chatani, it was yummy. After this, I went for another food on another food stall. 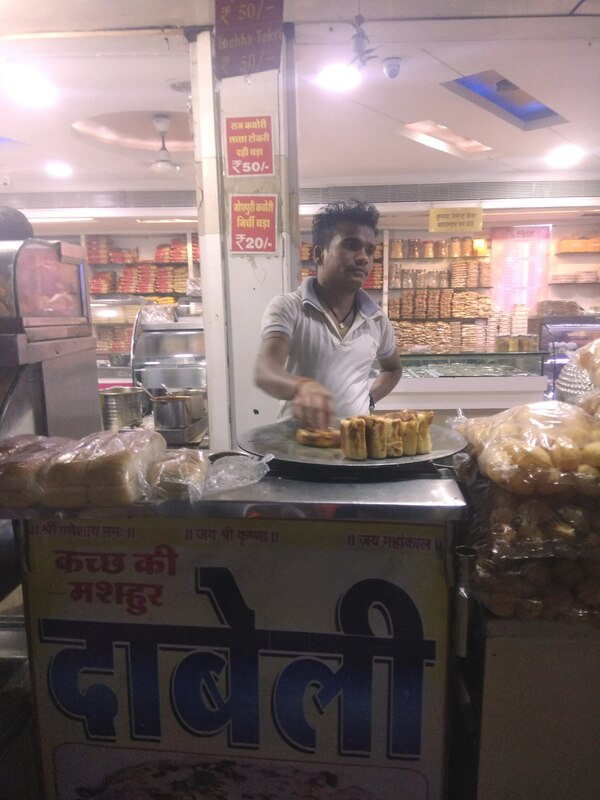 This time I had tried a Gujarati Dish that was Dabeli. It looks like a sandwich but not. It was good in taste and garnished with onion, coriander leaf, peanuts and sev. I went to Madhuram Shop and tried some different types of sweets and Sabudhane ki Tikki with pudeene ki chatani too. Next, I moved to another stall where I tried pani-puri with different flavored pani like Maggie, khatta, meetha, garlic etc. At last, I had tried flavored Paan too. I had done with all these food for today, so I had taken a cone ice-cream with butter-scotch and move towards home. In the next day I and my friend had taken lunch in Shreemaya Hotel. The menu of this hotel was awesome, lots of new dishes had to try. We had ordered veg sizzler, strawberry shake and a sizzling hot chocolate brownee. 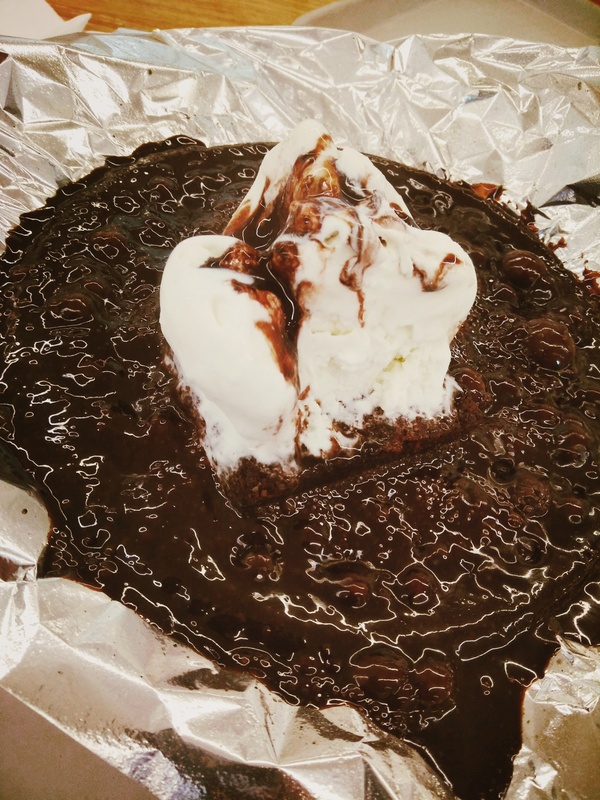 Brownee was so delicious with ice-cream. Sarafa: Sarafa is India’s only one street food market which is open until midnight. This market starts at 8 pm and opens until 2 pm. Basically, this is a jewelry market behind the Rajwada Palace. When these shops close at 8 Pm then Food stalls starts here. This place is little congested and you will find rush in the night. 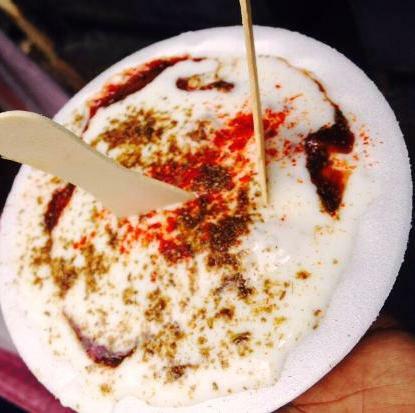 a)-Jhoshi Ji Dahi-Bada: If you are here then you can not miss the Dahi-Bada from Jhoshi Ji. It is very old shop from 1977. The specialty of Dahi-Bada is it becomes very soft and Jhosi Ji presents it in a different style like blowing bowl in the air without a drop down of Dahi, he adds five types of spices with five fingers in a single time without mixing it. It was so yummy in taste and Bada was so soft. b)-Bhutte ki Kees: Bhutte ki kees made with corn with milk and adding some spices, lemon juice and coriander leaf. It was very tasty. 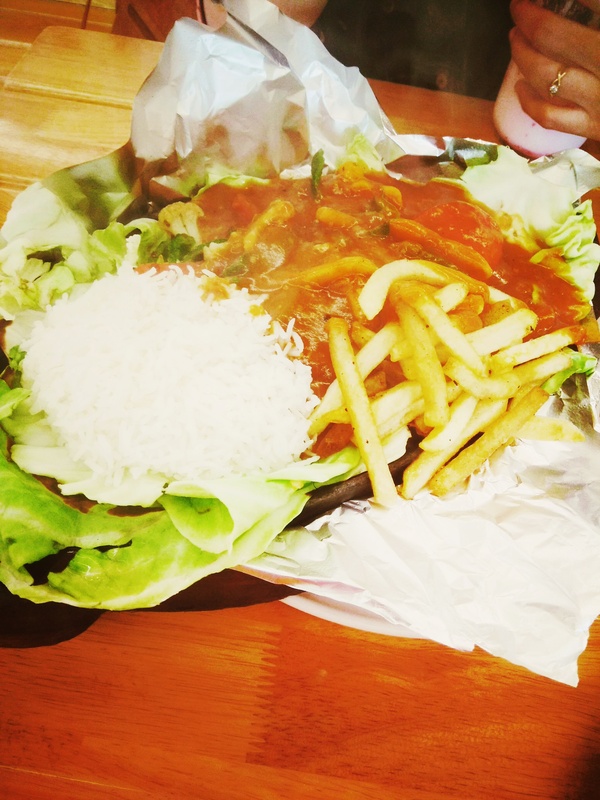 c)-After this two delicious food I ate dry fried Manchurian, It was so tasty and heavy too. My stomach was almost full, but yet to try many dishes. d)-Garadu: Garadu is one of the famous dish of Indore. 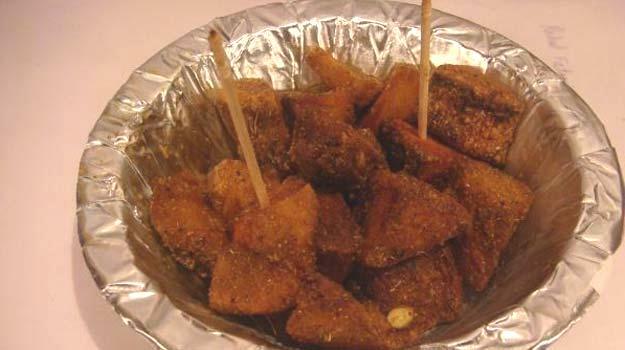 It is called Yam and prepared with deep frying, adding some spices, chilies and lemon juice. Garadu chaat is a very famous dish in street food of Indore. Except these, You can try more dishes like Daal Bafala, Ratalu, Johnny Hot Dog, Patties etc. Indore has a mix flavor in their food. 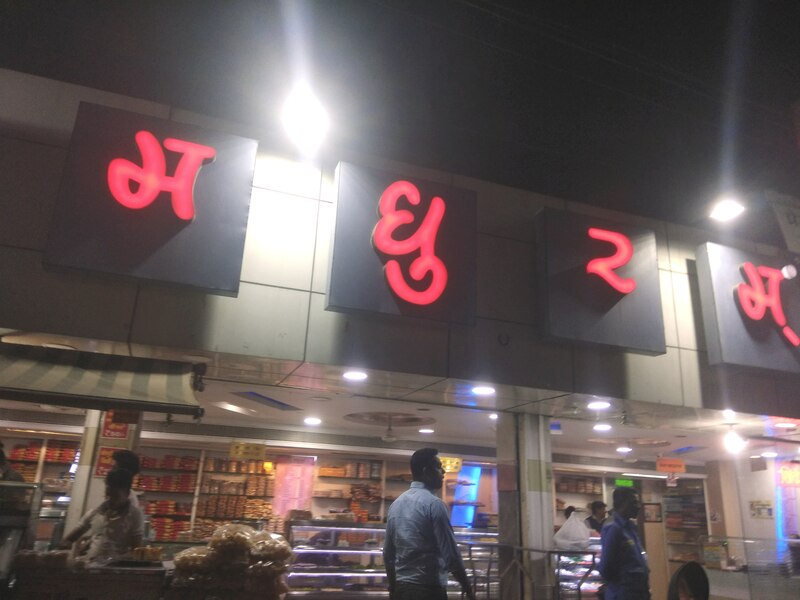 Indori food’s mainly based on milk-based too, so you will get a different variety of sweet dishes too like Jalebi, Malpua, Gulabjamun etc. Indore is also known for its flavored Namkeen. Ganesh Namkeen – A shop selling lots of variety namkeen from pineapple sev to pani-puri sev. While there are countless varieties and variations of namkeen and is the famous for Indori khatta-meetha. Doodh Chana is one of the special namkeen which is prepared by soaking in milk for hours before fried. It becomes very soft and tasty. 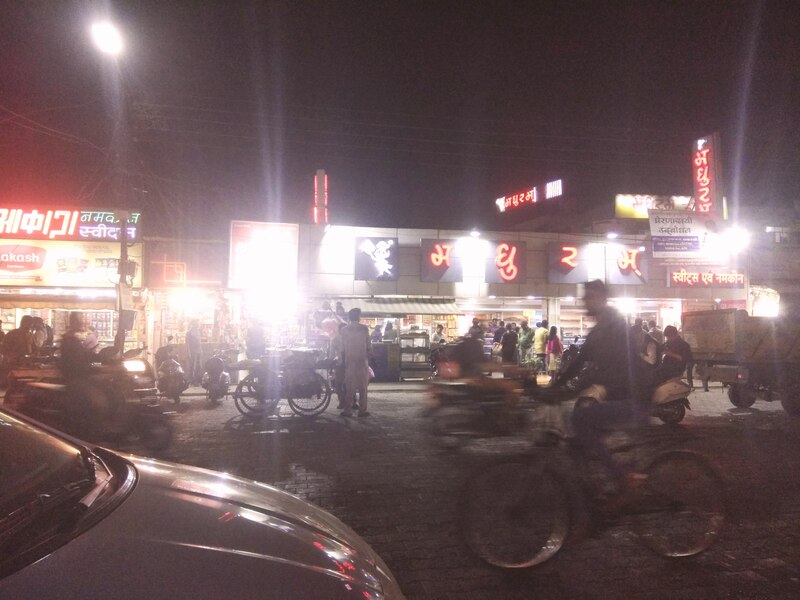 It was my first Indore trip which you can say it was purely a food trip where I enjoyed proper street food of India. From there I tasted lots of different dishes, experienced the flavor. I wish I will do more food trip like this in future. I love street food.. Specially when you talks about Sarafa. It has different varites of food. Much food variety in Indore. Specially it’s street food, I fall in love with this blog. Good work..